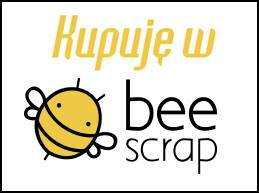 Wykorzystałam papiery Bee Scrap (ten i ten) i starą, urokliwą fotografię. I like to find some new places with inspiring works, places where I can find new fields of aesthetics and recently I found quite a bunch of them :) Once I saw a card. And fell in love with it. And I really really wanted to make a lift. So I wrote to the Author of this card and she let me make my lift :) My version is just a light sigh of the original, but I hope it has its own spirit as well. I used here Bee Scrap papers (this and this) and an old, lovely photograph. Cudna, prawda? Isn't it gorgeous? Deski są oczywiście do wykorzystania świątecznego jak najbardziej odpowiednie, ale czy te wzorzyste kwiaty też można? Próbowałam :) Co myślicie? The wooden patterns are of course, very easy to work with in Christmas projects, but the question was how would appear the most figured pattern with flowers. So I tried.